For the second straight game, baseball fans were treated to a stellar pitching match-up, and for the second time, the Blue Jays came out on the losing end. 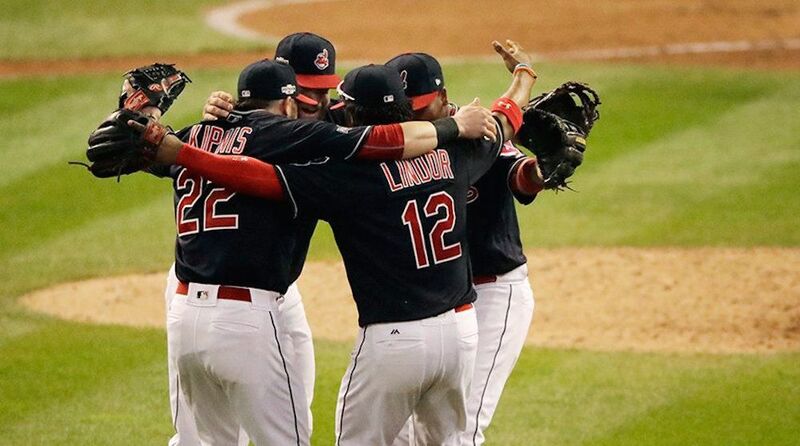 Cleveland took Game 2 of the American League Championship Series on Saturday by a score of 2-1. The Jays now go home to Toronto down 0-2, with their backs up against the wall. Before the game started, it was announced that 2nd baseman Devon Travis will be out for the remainder of the postseason after aggravating a knee injury in Game 1. He has been flown back to Toronto for an MRI, and the team is still awaiting the result. Travis has been replaced by switch-hitting Justin Smoak. Darwin Barney and Ryan Goins will platoon second base for the rest of the series, and the World Series, should the Jays make it. In the bottom of the second, Carlos Santana took a JA Happ pitch over the fence in left field to open the scoring. To the surprise of most baseball fans, this was the only home run of the game, and only the second of the series (neither coming from the big bats of the Jays). The Jays tied the game in the top of the third, with a Josh Donaldson double that scored Darwin Barney. Encarnacion took a walk to put runners on first and second, but Bautista was unable to convert and struck out swinging. The Jays would end up stranding 4 runners, but never really seemed like they had a chance to tie up the game, or take the lead. Cleveland took the lead back in the third after former Jay, Rajai Davis made it to third on a stolen base and wild pitch. A Francisco Lindor single up the middle brought him home. Incredibly, this would end the scoring for the remainder of the game, as both team’s pitching provided shutdown innings from the fourth frame on. JA Happ went five innings, giving up two earned runs. Biagini pitched two clean innings in the sixth and seventh, and Osuna had a one-two-three eighth inning. Lasagna the key to success? Before the game it was revealed that Lindor, the 22-year-old thorn in the Jays side lives at home with his mother, who prepared him a hearty lasagna as his pre-game meal. Darn you, Lindor, with your delicious chocolates and your mom's lasagna. Superstition or not, it seems to be working as he knocked in the winning run again in Game 2. Happ, Biagini, and Osuna all delivered unarguably good pitching performances, but so too did Tomlin, Shaw, Miller, and Allen. Cleveland reliever Andrew Miller struck out 10 Blue Jays batters over the last two games. Cleveland’s pitching has been exceptional. The team has led for the past 41 innings of their postseason, and boasts the pitching staff that has, thus far, neutralized the potent Red Sox and Blue Jays offences. Today, the Blue Jays were limited to just three hits. The team scored just one run over the last two games. If the Jays want to remain in the series, they are going to need to attack the starting pitching, and early, before Cleveland’s relievers can get into the game. Cleveland only scored four runs over the last two games. Game 2 saw just four hits, with the same number of runners left on base for both teams. And Cleveland’s home and away splits are significant. They play far better at home than on the road, and now face three games against in Toronto. Game 3 goes Monday at 5 pm PT/8 pm ET at Rogers Centre, with Marcus Stroman pitching for Toronto against Twitter troll expert and drone-injured Trevor Bauer for Cleveland. Should be a fun match-up. Let's talk about the Blue Jays.